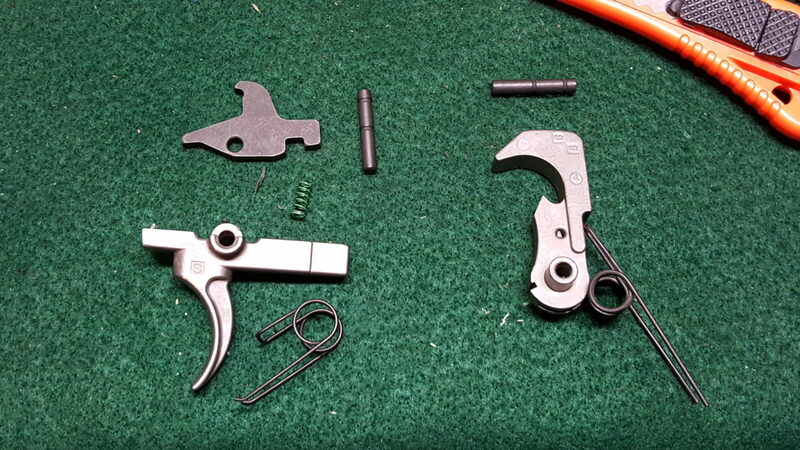 The hammer assembly includes the pin, spring and hammer itself. In the next photo, the hammer group is to the right. 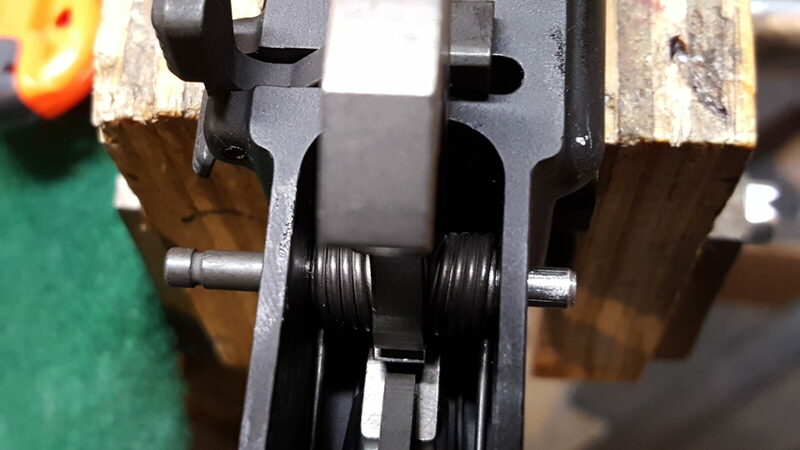 This is an enhanced trigger group from Palmetto State Armory (PSA) that I really like and recommend for people wanting a decent low-cost trigger for a basic build. Now this next photo is of a fire control group installed in my Strike Industries jig that is great for tuning. It’s not the PSA enhanced trigger but I wanted you to see the way the hammer spring’s legs must sit in the trigger pin’s groove. This is very important as it locks the pin in place. You may need a pair of needlenose pliers to adjust the leg to make sure it does rest in that groove. 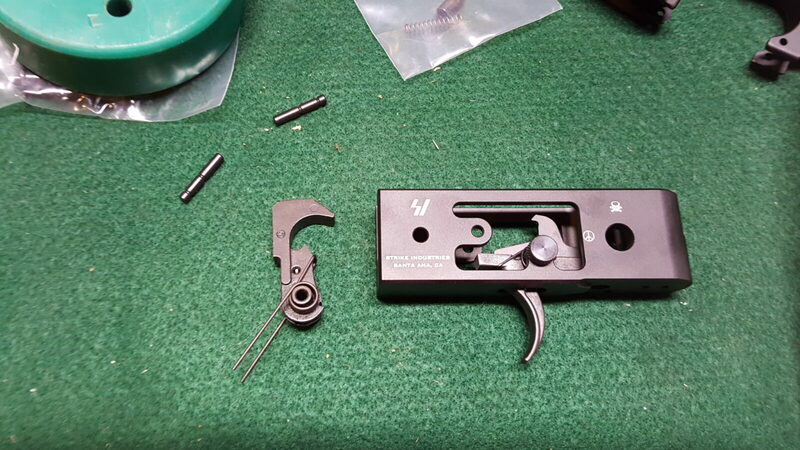 By the way, the part the strikes the firing pin is the straight flat face so when you install the hammer, the face is forward as you see in the next photo. To help line things up, I either use a punch or a little slave in. The hammer spring is pretty strong and something to help you line it up while you install the cross pin will seriously lower your stress level. Here, I am using my slave pin and you can see the actual hammer pin coming in from the left. 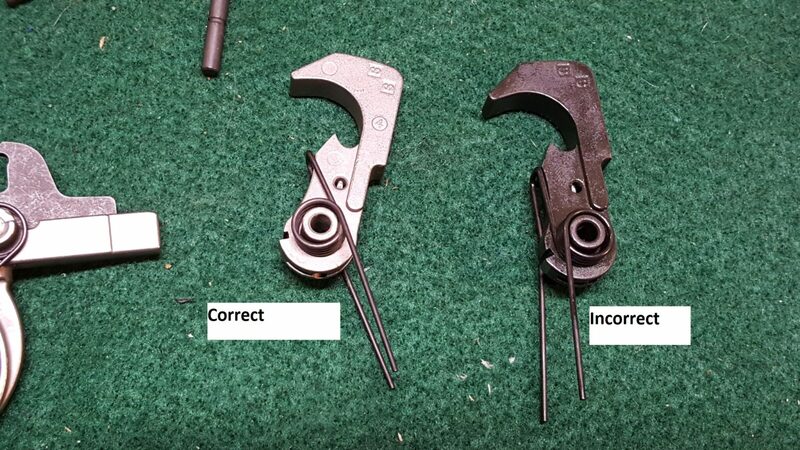 As a reminder, the trigger and hammer use the same pins. Next, you need to function test the fire control group. DO NOT LET THE HAMMER COME FORWARD AND SLAM THE MAG WELL!! You need to use your thumb or something to ease the trigger up. 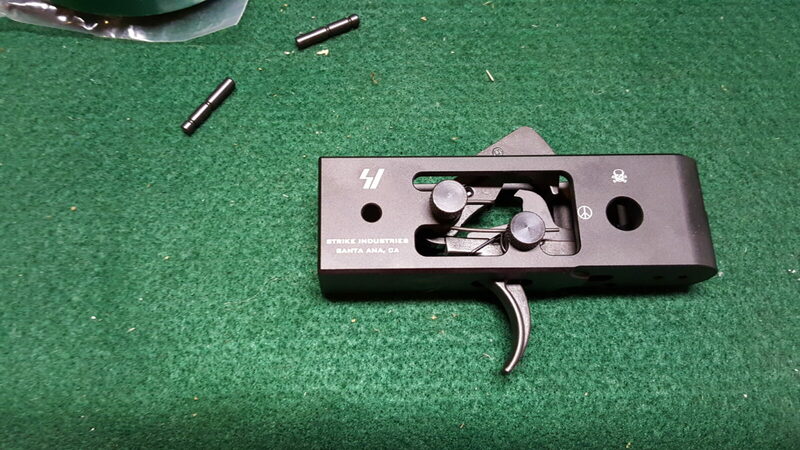 A steel hammer hitting an aluminum receiver’s magazine well is not a good combination. Pull the hammer back and the trigger should catch it. Next, pull the trigger while holding the hammer and the trigger should release the hammer letting it come forward. Done! 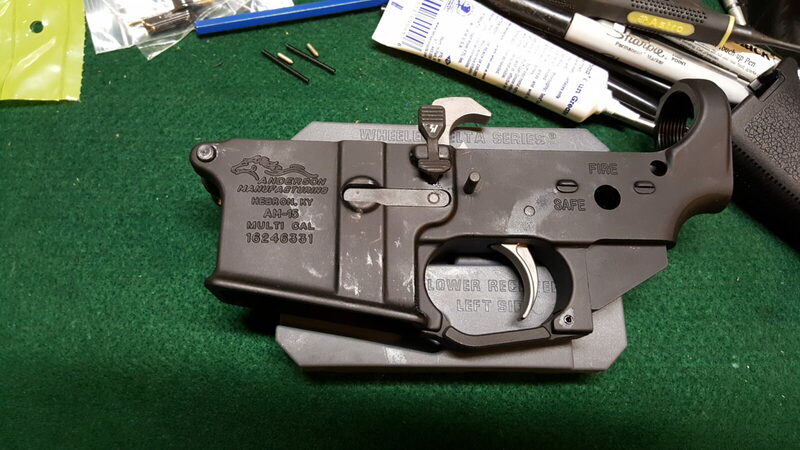 On to the selector assembly.